People who are looking for Bluetooth speakers have several things in mind. Firstly, they don’t want to be constricted by wires, and since most of our conventional speaker systems are wired, our options are limited. Sometimes, wired speakers can only operate within the confines of our home or at least within the length of the wire provided by its manufacturer. With our technology today, it is now possible to enjoy quality music via portable wireless speakers. As a matter of fact, these speakers can connect with another device at the maximum range of 30 feet. This gives us tremendous freedom from the usual speakers we have before. Furthermore, they can easily be paired with other mobile devices like smartphones, tablet and MP3 players.Actually, wireless speakers are now prevalent on electronic stores and various manufacturers are more interested in producing speakers that are Bluetooth enabled. Bluetooth Speakers: The Right Choice? So, I think this is trend that we can expect for the coming years. If you’re interested with this type of speaker, then there’s a strong possibility that you want something unique and eye-catching. In short, you want something cool for yourself – a gadget that you can flaunt to your friends! Unlike other speakers out there, Bluetooth speakers are more efficient. They consume less power, so they have the capacity to go almost 48 hours without recharging. But realistically speaking, most models these days like the Jawbone Big JAMBOX can go 15 hours before it runs out of juice. Basically, these portable speakers use AA batteries but some manufacturers have produced built-in batteries that can only fit on their respective models. Although an external adapter or wall charger is still necessary for charging built-in batteries. These speakers can easily fit in your bag and you can take them anywhere you want to go. So, you can enjoy your favorite tune even if you’re in the park or an outdoor camp. It is also ideal for small group parties that are often held outdoors, and since they can easily be paired with any other Bluetooth devices, anyone in your group can easily share their music using a single speaker. The notion that wired speakers can produce better audio is not any more accurate. In fact, newer versions of portable speakers have adapted better audio technology, thus giving them better performance. One good example is the Bose Soundlink Mini which is based on the larger Soundlink model, and is known to produce top quality sounds. Actually, the Mini uses the same components of its larger version but only sized down to fit its smaller frame, but it can still pump up excellent mids and highs. The same goes with other popular brands and their newer much updated wireless models. Connecting or pairing Bluetooth speakers with other mobile devices is easy and hassle-free. Usually, the device automatically connects when it gets into range of at least 5 meters, so it doesn’t need human intervention to hook-up with the source device. It’s also compatible with any type of smartphone on the market; it can perfectly pair up with iPhone 5, Samsung S4, HTC ONE, etc. Another neat feature it has is its capability to remember the device it was connected to before. Therefore, it can easily connect to that mobile device again when it gets into its range. 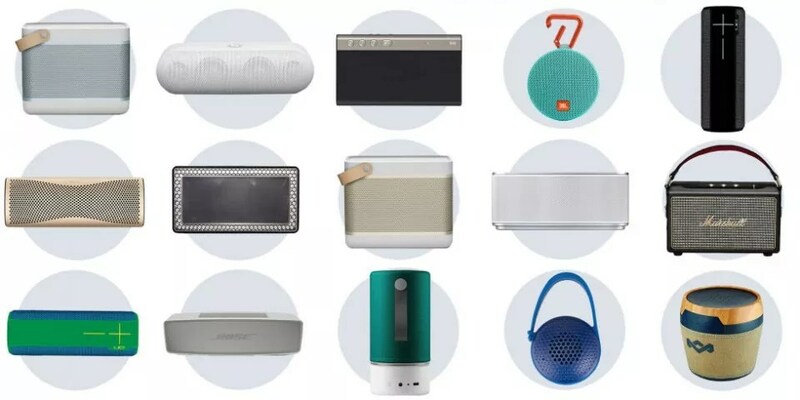 Furthermore, newer version of portable speakers offer backward compatibility, which means it’s still compatible with your old Bluetooth-enabled devices. In conclusion, our present technology is shifting more and more to smaller but powerful devices, and one can say true about Bluetooth speakers. It has come a long way and it can now provide us with superb audio performance that can rival any wired speakers out there.